For more detailed maps of Kakadu download the Kakadu National Park Visitor Guide it is a great guide detailing the walks in Kakadu, how long to allow when visiting Ubirr and Nourlangie Rock Art Sites and Lookouts, shows all the camping areas, 4wd roads in Kakadu along with facilites within the park. It also has great informaiton about the Rock Art, crocodiles and the seasons we have here in Kakadu. 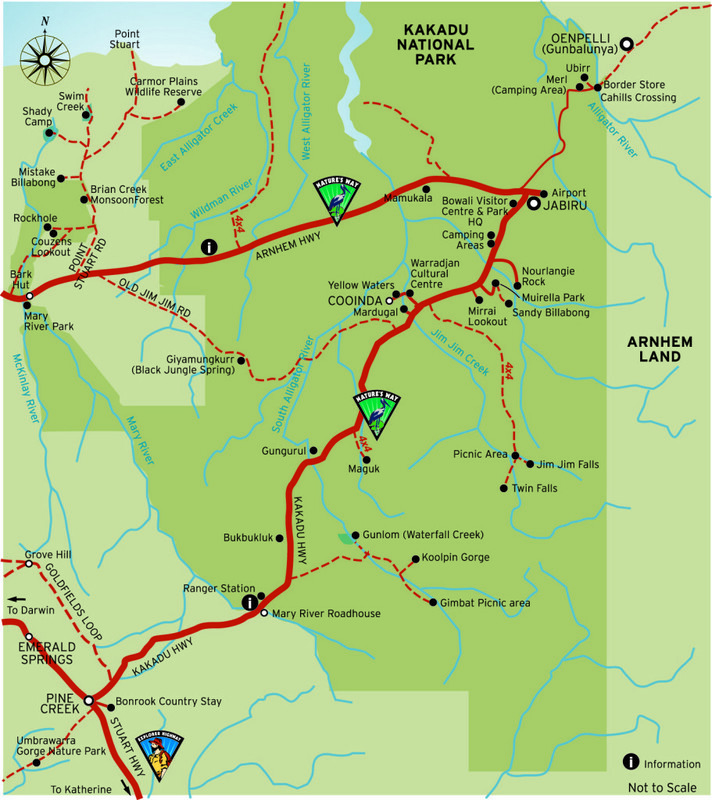 There are plenty of Kakadu Maps to show you where to go and how to get there.